While some gifts are not subject to the gift tax, there are many more gifts that will end up costing you more than their value in the form of a gift tax. Here is a brief overview to help you determine which gifts may be subject to the gift tax, and which can be given freely. No Tax on the Recipient. Happily, the person who receives your gift is not liable for a federal gift tax, nor does he or she have to pay income tax on the value of the gift received. No Deduction Allowed. 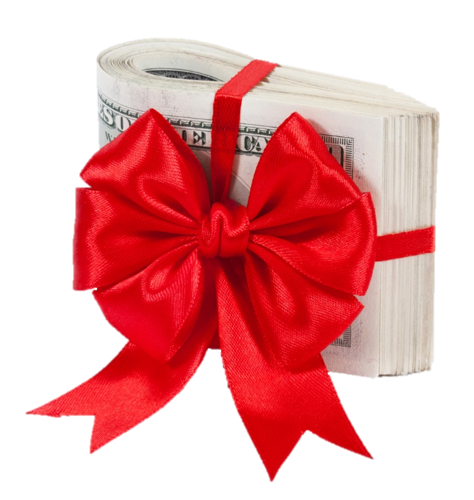 Other than allowable charitable contributions, your gift cannot ordinarily be deducted from your federal income tax. Forgiving a Debt or Loan. When you forgive a debt or loan that was made interest-free or below the market interest rate, you may be subject to the federal gift tax on the amount forgiven. Half and Half. Based on the annual gift exclusion currently in place ($14,000), you and your spouse can give a gift up to $28,000 to a third party without it being taxable. One half of the gift is considered as coming from you and the other half from your spouse. For more information on the federal gift tax or any other tax issue, please contact Gray, Gray & Gray’s Tax Department at (781) 407-0300. This entry was posted in Accounting, Gifting, Taxes and tagged gifting, Taxes. Bookmark the permalink.